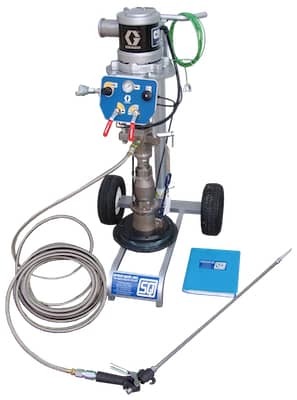 Sealant Dispensing Equipment - Adhesive Spray Guns | Spray Quip, Inc.
Spray-Quip is a distributor of high viscosity material dispensing solutions. We offer adhesive dispensing equipment and dispensing systems from trusted brand names such as Binks, Graco / GlasCraft, GS, PolyCraft as well as in-house SQ OEM customized solutions. Whether you are looking for automatic or manual dispensing machines that are capable of shot, bead, swirl or spray, Spray-Quip offers basic air operated bench-top units and include units up through precision servo-motor driven robotic dispensing systems.